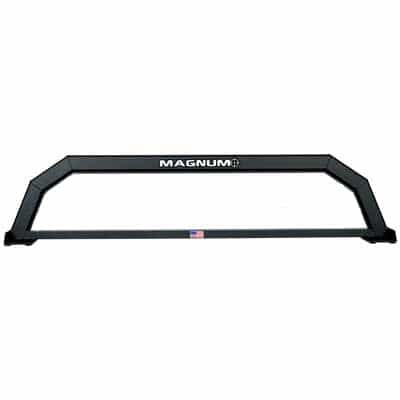 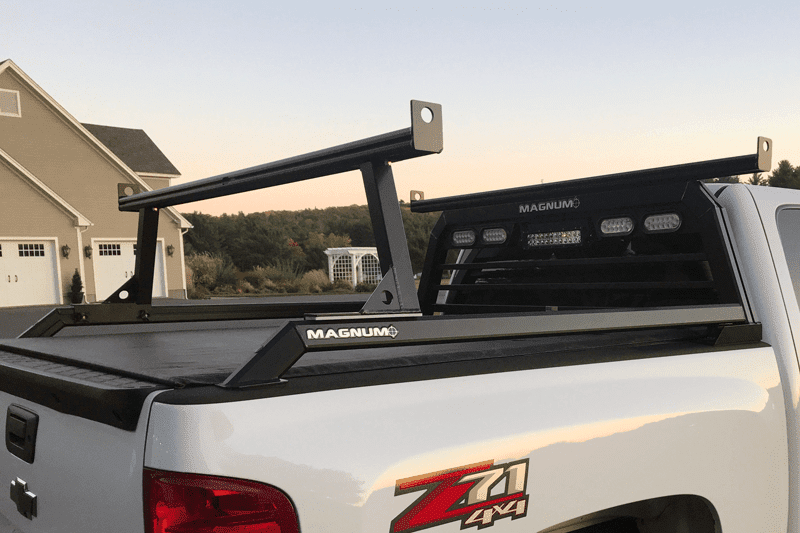 The aluminum Universal Detachable Rear Cargo Rack fits most trucks. 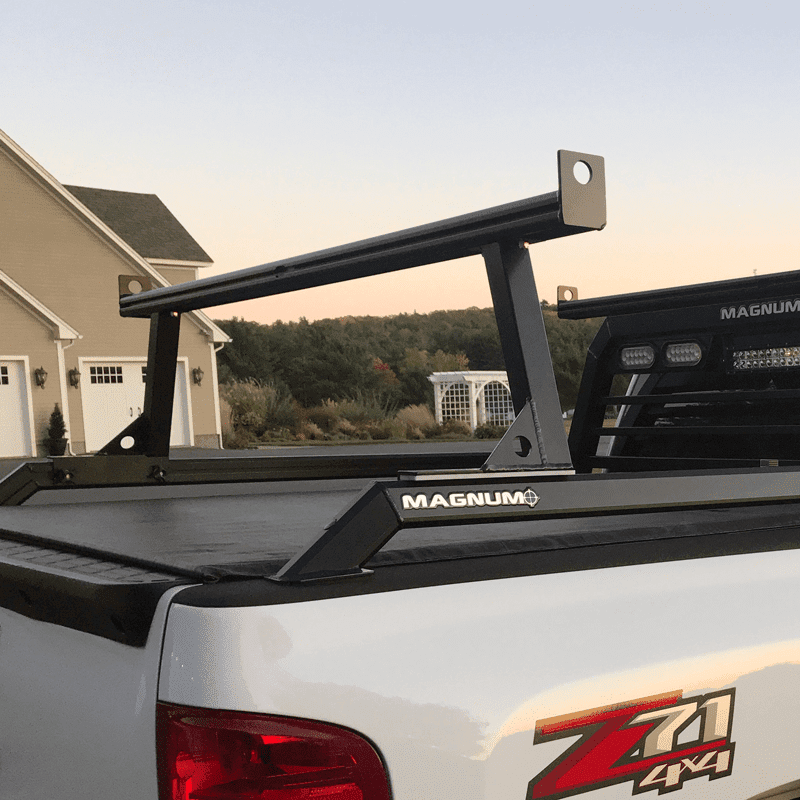 This detachable rear truck rack is universally adjusted for width. 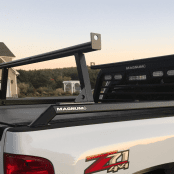 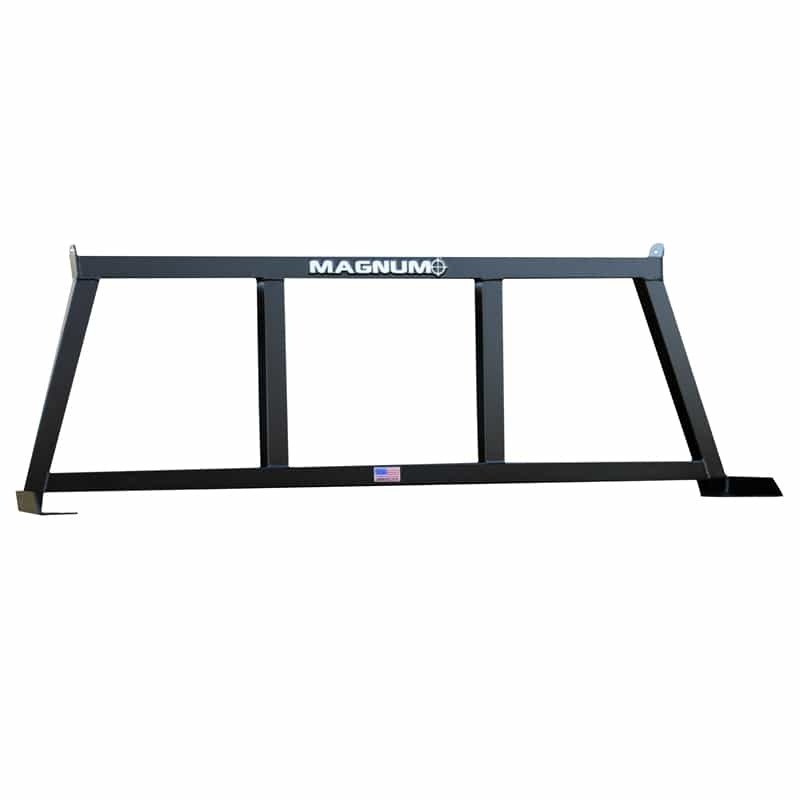 The Glide Track system on the top and rear face allows for easy installation of cargo stops, D-rings, ladder rollers, etc. 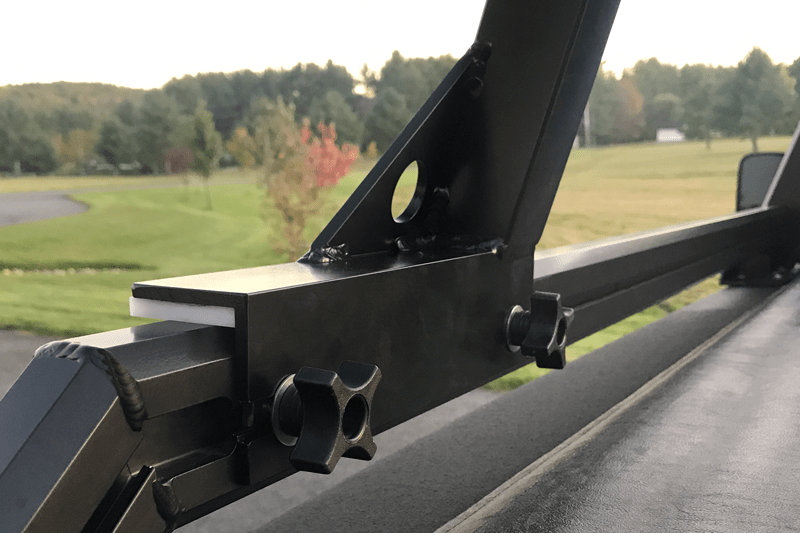 Includes (2) quick adjust cargo stops, the rear rack tube with tie down holes, vertical legs and (4) 4-Arm Knobs to tighten the Rack to the Rail Kit. 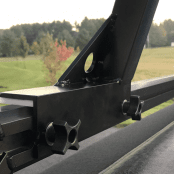 The foot of the Rear Rack Includes attached anti-scuff HDPE to reduce abrasion of rail kit powder coating.